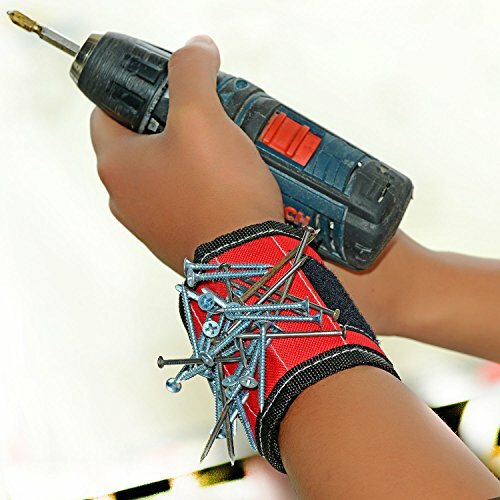 The band can hold a massive amount of screws and nails, they will not fall off the band even if you try to shake them off. It can also hold a hammer and handful of nails or screws at the same time. This works great when holding 1 large tool with screws and nails alongside it.